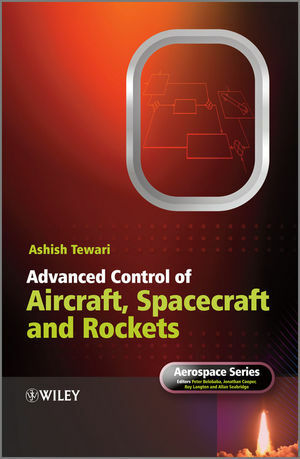 Advanced Control of Aircraft, Spacecraft and Rockets introduces the reader to the concepts of modern control theory applied to the design and analysis of general flight control systems in a concise and mathematically rigorous style. It presents a comprehensive treatment of both atmospheric and space flight control systems including aircraft, rockets (missiles and launch vehicles), entry vehicles and spacecraft (both orbital and attitude control). The broad coverage of topics emphasizes the synergies among the various flight control systems and attempts to show their evolution from the same set of physical principles as well as their design and analysis by similar mathematical tools. In addition, this book presents state-of-art control system design methods - including multivariable, optimal, robust, digital and nonlinear strategies - as applied to modern flight control systems. Advanced Control of Aircraft, Spacecraft and Rockets features worked examples and problems at the end of each chapter as well as a number of MATLAB / Simulink examples housed on an accompanying website at http://home.iitk.ac.in/~ashtew that are realistic and representative of the state-of-the-art in flight control. Ashish Tewari is a Professor in the Department of Aerospace Engineering at the IIT-Kanpur. He specializes in flight mechanics and control, and his research areas include attitude dynamics and control, re-entry flight dynamics and control, non-linear optimal control and active control of flexible flight and structures. He has authored 2 books Atmospheric and Space Flight Dynamics and Modern Control Design with MATLAB and SIMULINK, and over 40 refereed journal and conference papers.